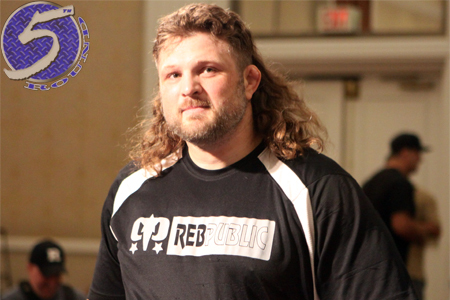 It appears the UFC has brought Roy Nelson’s (Pictured) Facebook bet to a screeching halt. The world’s premier mixed martial arts promotion announced Wednesday that Nelson will welcome former Strikeforce star Antonio “Bigfoot” Silva to the big leagues. The heavyweights will collide May 26th at UFC 146. Nelson has dropped three of his last four contests, with his most recent defeat coming last month in a unanimous decision to Fabricio Werdum. This past Sunday, “Big Country” took a wager to drop to the light heavyweight division if he could reach 100,000 likes on his official Facebook page by March 17th. He’ll clearly need to conserve those pounds to battle the massive Brazilian. Silva was last seen unconscious on the Strikeforce canvas courtesy of Daniel Cormier. Bigfoot had rattled off three consecutive victories prior to the September defeat, which was spotlighted by a TKO win over Fedor Emelianenko. MGM Grand Garden Arena in Las Vegas, Nevada hosts the festivities. Heavyweight champ Junior dos Santos defends his freshly-minted crown against Alistair Overeem in the show’s featured attraction.